New Year’s Eve Recipes, the tradition around our house is a quiet evening at home with a nice meal and a movie. 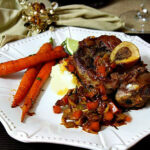 Osso Buco is always the star on the menu but the supporting cast may change from year to year. After pouring through numerous cookbooks and databases below you’ll find my final selections for our stay at home New Year’s celebration recipes. Colorado style. The star of the night, Osso Buco, braised veal shank. So much easier to make than you think, and so very special. We love olives around our house, and we always enjoy a bowl of Warm Rosemary Garlic Olives. This year I decided to try this Roasted Golden Beet salad with Tangerines, Pine nuts and Raspberry Vinaigerette. Easy, healthy and a beautiful bright addition to our meal. Arrange the beets and tangerine sections on plates and drizzle with the dressing. Top with the toasted pine nuts. The Wine: Bob and I both agreed this is the best wine we’ve ever tasted. EVER. A gift from my boss. 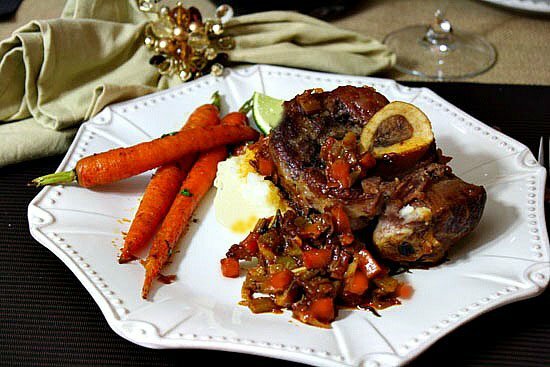 Osso Buco is so creamy delicious and easy to make. Sautee chunks of carrot, celery, leeks, a sprig of rosemary and some sage leaves in some olive oil in your Dutch oven until browned. Add floured and browned veal shanks and roast for a couple of hours and you’ve got an incredibly delicious veal entree. You’ll find the complete recipe below. 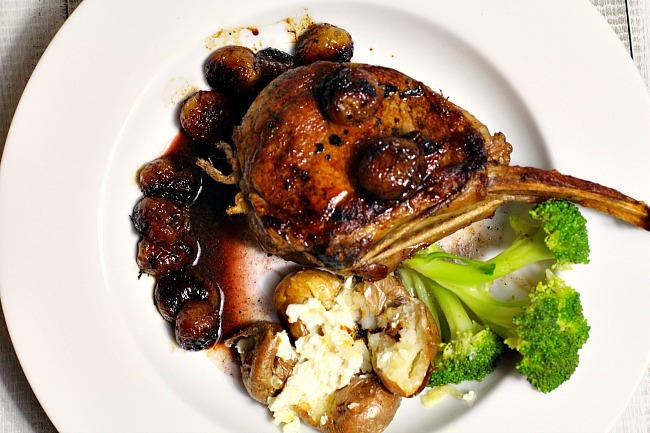 And if you’d like to consider a veal chop recipe, take a look at the Pan Roasted Veal Chops with Red Grapes. 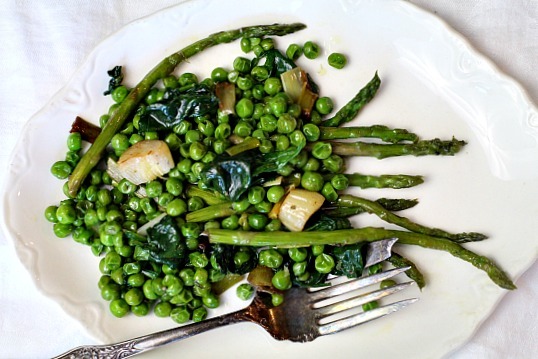 Green Vegetable Medley: A perfect side dish for the Osso Buco. 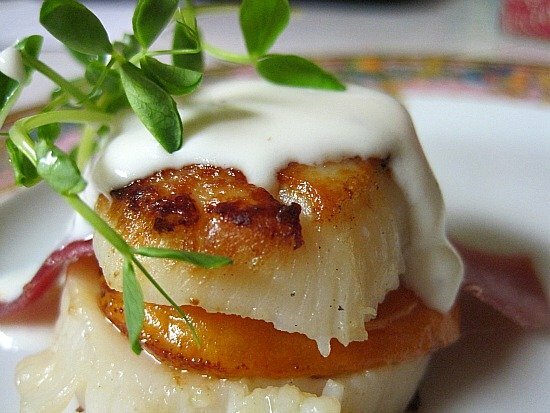 I found this recipe years ago in Martha Stewart Magazine. Easy and delicious (not to mention healthy). An easy and elegant braised meat recipe for your favorite special occasion. Heat 1/4 cup of the oil in a large heavy pot with cover over medium heat. Add leeks, carrots, celery, rosemary and sage and cook, stirring until vegetables are golden brown, about 10 minutes. Stir in preserved lemon, tomato paste, broth, ketchup, vinegar.Remove from heat and set aside. Meanwhile, generousy season veal shanks with salt and pepper, then dredge in flour until lightly coated. Shake off excess flour. Heat remaining 1/4 cup oil in a large skillet over medium-high heat. Add veal shanks and sear, turning once, until well browned on both sides, about 5 minutes per side. Place veal shanks in pot with vegetables, cover and transfer to oven. Cook until meat is fork tender and falling off bone, about 2 1/2 hours. Serve with risotto or plain steamed white rice or mashed potatoes. I must say everything was quite good. This year the Osso Buco was exceptionally good and I think it was because I used homemade tomato sauce from tomatoes fresh from the garden. I still have about 5 jars left. I’ll never let a winter go by again without making my own tomato sauce. Our New Year’s Day tradition is an invitation from our good friends and neighbors, Greg, Cauleen, Connor and Martini. Each year they have a small group of us over for Sauerkraut, Pork and Mashed Potatoes. Cauleen is from Pennsylvania and this one of her wonderful family recipes. Roasted pork shoulder topped with drained sauerkraut. There’s also some beer and lots of brown sugar a long slow roasting time involved and it is delicious. Serve it on top of mashed potatoes and you’ve got a big creamy YUM. Mike made and brought these crystalized orange peels dipped in chocolate. Very good job and delicious, Mike. I’ve got to try making these some time. Cauleen’s homemade tower of cookies… Throw in a few bottles of wine and you’ve got a great little party and a great start to the New Year! congrats – that’s quite an honor! Thanks for all your hard work!